Perfect for the urban professional looking for an adventure vacation that will leave them feeling renewed and recharged. Includes 3 days Trekking in Pyrenees, 2 days Cadeques along the Costa Brava and 1 day in unforgettable Barcelona. Ahhhhh You don't want to miss this! Day 1 - Arrive Barcelona in early morning on the 22nd or arrive a couple days earlier and hang in Barcelona...it’s the Best! Team Livin Adventure your Personal Driver awaits you and will take you to our first DROP OFF....1 hour away to a sweet little town of Sant Julia. What we find here I cannot share..just a wee welcome party. The we drive another hour into the mountains near a town called Queralbs a stunning old stone mountain town. We then drive up the mountain to our Bed and Breakfast, MAS LA CASANOVA. Everything needed for Cadeques can be left in the car. We get to hang out for a celebration dinner. First day accomplished. A very good fuel up and rest we need for a long day tomorrow. Lunch, Breakfast included. Day 4 - Ahhh get up early and sit on the rocks by the stream and just take it in....We have a 3 hour descent back into Queralbs,..At this point we are soooo pumped to see Cadeques! 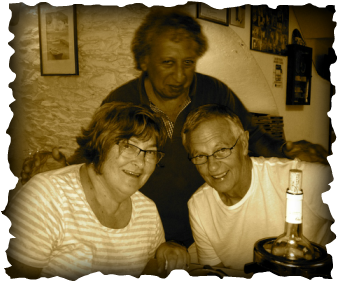 We sit down for a drink at Hostal Roquettes and reminisce on our last 3 days. It is now goodbye to the Pyrenees and hello Costa Brava. We have an approx 2 hour transfer to Cadeques. You will be blown away by this romantic coastal village. We settle into my fav Hostal Vehi..the family run Guesthouse right beside the old church from 1300...I then take you on an evening coastal hike on the Cava Trail....We can take as long or as short as we want....Depending on how long we spend on K’s Secret naked swimming cove. We are getting down at Juilio’s tonight for dinner. Breakfast, Dinner is in Cadeques and is not included. Approx 2300-2600m of climbing in 2 Days.... its time to rest the legs a bit..celebrate Spanish Style what we have accomplished and switch gears into something new! and finish in the afternoon. *Allergies - Gluten, Dairy etc. - All of the Huts are great with this and can give Gluten free, Milk free options for dinner and breakfast - Vegetarian and Vegan also works well for the dinner portion. YOU WILL NOTICE in Spain..they are not big breakfast people , so hut breakfasts are not anything to write home about..so if you have specific preferences, perhaps you should bring some extras. *In the Mountains in the huts, we will be in bunks but for the most part a room with mattresses lined up next to another...that is the hut way. So know there are others in the room. Hey maybe we luck out and it’s just US! Our time together finishes in Barcelona...From here you may stay longer or transfer to Airport for next Spanish stop BARCELONA HAS IT ALL! Beach! Workout areas on the Beach! A number of amazing areas to blaze through....Desigual at every corner, Gaudi Gaudi Gaudi...Funky..excellent restaurants to suit every need...and an amazing energy! The touristy activities we wont be doing specifically together...but on the second day..you will have your own free time for a few hours..in which you can do some of this. For example...listed above. Some fun SPANISH words FOR YOU! Guay - a very colloquial Spanish saying to express that we really like something Ir de Tapeo - to go for some TAPAS! DAY 1 - THE ARRIVAL - Barcelona Airport, transfer Sant Julia for a Catalonian Surpise.. . a few hours later we transfer to the lovely picturesque mountain village of Queralbs where we stay for the night. This is a quaint hillside village with stone built slate roofed houses. Our little town Tour will take your breath away. DAY 7 - Early to rise, start your day with an energizing HIKE near Cadeques, Yoga near the beach or a last wander around this beautiful village, have a local cuisine lunch in a seaside cafe before we transfer back to Barcelona. After we settle in our Hotel Catalonia...Prepare to be WOW'd on our evening WALK through our Barcelona Hot Spots.... Enjoy an incredible meal experience in our SPECIAL LOCATION..we might even hit a place to BAILA! DAY 8 - THE DAY TO EXPORE - We set off at 10am for our Super Cool Foot Tour to some cool corners, unique sights and hidden gems...mid Afternoon...You have a few hours to...hang out in a cafe, visit something cool, shop..
beautiful coves in the Catalan country, while the white fisherman’s towns of Cadaqués and El Port de la Selva stand without discussion at the top of the most charming villages in Catalonia. The animal and human form rock formations hide throughout this natural park with geological genius and beauty..one can’t help but be fascinated. 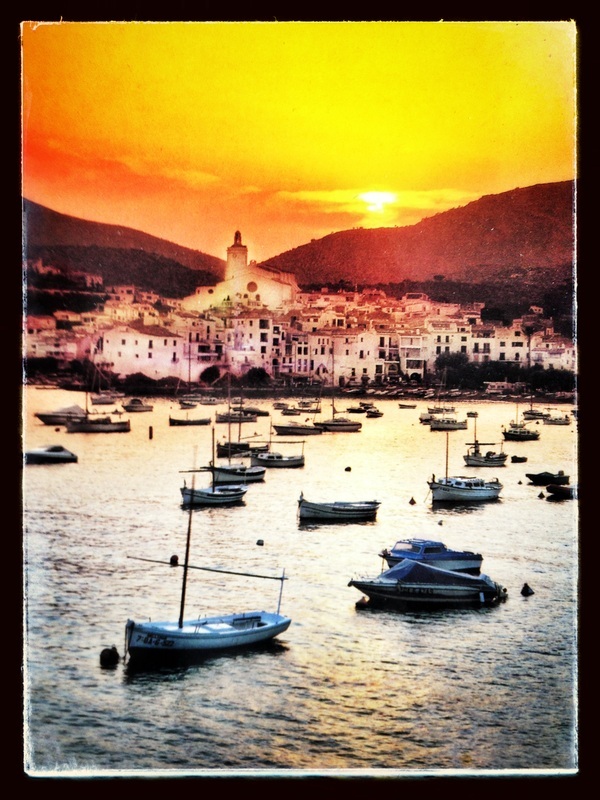 1) VILLAGE with CHARM - Although the prosperous town of Cadaqués has changed immensely from the rundown fishing village that Dalí first came to know and love before the First World War, it still retains its charm. 2 ) TAPS! - One of the famous taste sensations are ‘TAPS’ a delicious light pastry in the shape of a Bottle Top, which have been made since the XV11 Century. The best Pizza Bar in Cadeques - Julio awaits you with a friendly welcome on the cobblestone street right outside his HAVEN. I fabulous experience, with special service form a former top class Argentinian Soccer Player...Julio keeps you engaged with delicious pizza and salads.., great music, interesting stories and a a dessert schnapps..he doesn't let you leave without!